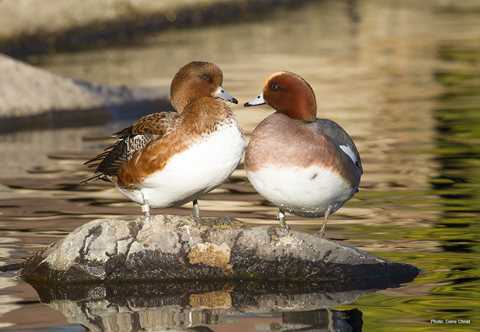 Eurasian wigeons breed from Iceland, the British Isles, and Scandinavia east to eastern Siberia and Kamchatka, and south to northern Europe, central Russia and northern China. 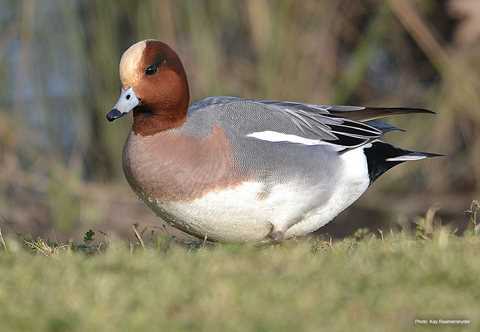 There are no breeding records of Eurasian wigeons in North America. Females prefer to nest on the ground near water in areas of taiga and forest. They lay an average of 7-10 eggs. Average weight: M 1.6 lbs., F 1.4 lbs. Eurasian wigeons are aquatic grazers and feed primarily on pondweeds, eelgrass, other aquatic plants and grass found in shallow water and in fields and meadows. Although accurate population information does not exist, Eurasian wigeon populations are thought to be stable. 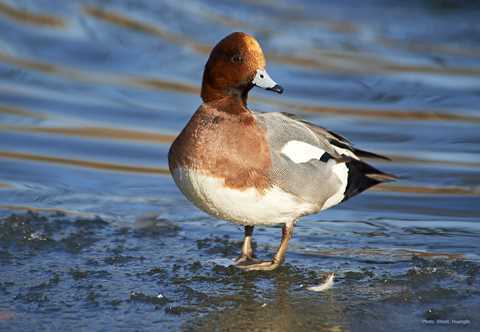 The majority of Eurasian Wigeons winter from Iceland, the British Isles, northern Europe, southern Russia and Japan south to the eastern Atlantic islands, Africa, Arabia, India, the Malay Peninsula, southern China, Formosa, and the Philippines. 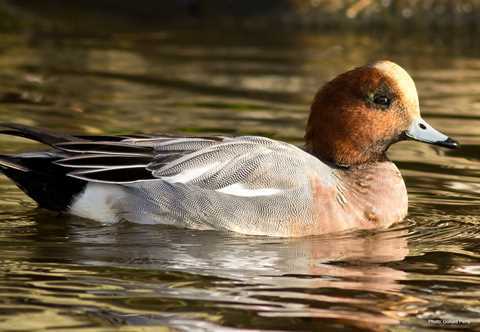 In North America, the Eurasian wigeon is an occasional visitor to the Pacific coast, from southeastern Alaska to northern Baja California, and the Atlantic-Gulf coast, from Labrador and Newfoundland south to Florida and west to southern Texas.